Let's take a road trip, shall we? Last week's photo was super random, so this week I went with something a lot of you will recognize instantly. But what famous movie is it from? I have no idea regarding Doug's location. I am simply lost in his eyes. I find them to be very nuanced. 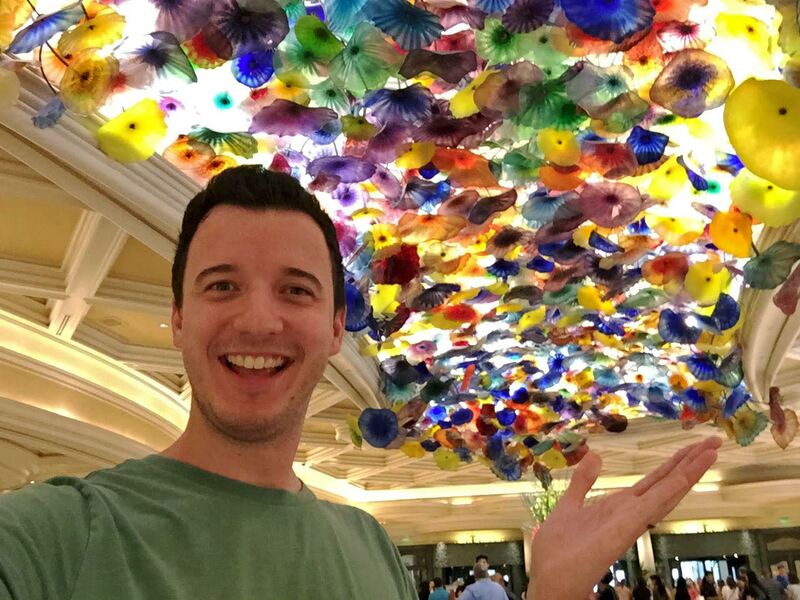 You're at the Bellagio in Las Vegas, losing all your money? I'm blanking on the movie outside of Ocean's Eleven...someone post the right answer! Thanks for the hint Dawn. Then I will guess Last Vegas, the best Las Vegas movie ever made. "My name is Lyman Zerga." Dawn is right! 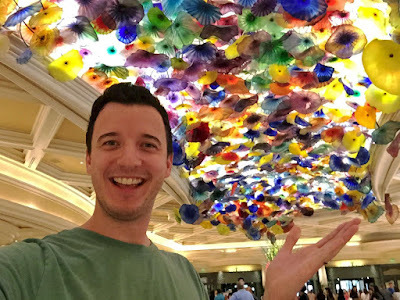 This is the famous lobby ceiling of the Bellagio resort in Las Vegas (Chihuly's "Fiori di Como," composed of over 2,000 hand-blown glass flowers). It is featured in OCEAN'S ELEVEN (2001), shown here. So, is there a "nuclear option" for spammers?